Investors alert: dual purpose property: rezoning potential to townhousing & great income potential. 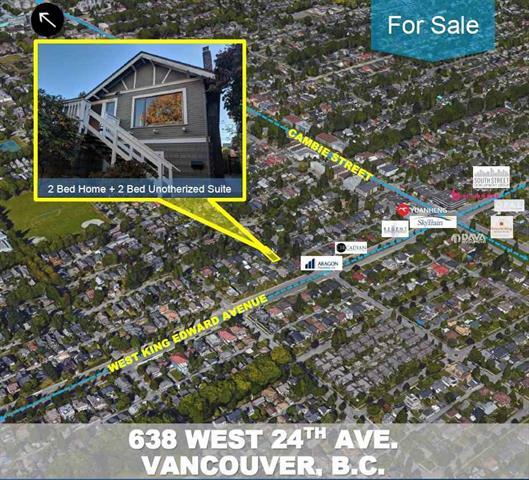 This property is situated on south side of West 24th Avenue between Ash & Heather Street in the sought after Douglas Park neighbourhood of Vancouver (behind the Amber project by Aragon). This property is just a block away from the King Edward Skytrain Station & 2 blocks to Douglas Park. Walking to the Hilcrest Community Center & Nat Bailey Stadium. All meas are approx, buyer or buyers agent to verify.